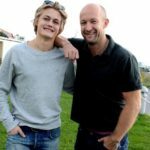 For his “selfishness”, Nylander lost 2 months of a season to improve his situation, in a life-changing contract which will allow him to make more in this deal than his father made in his entire career. Speaking of which, Michael Nylander has inexplicably (and unjustifiably) been portrayed as the bad guy here. Why any father who takes an active role in his son’s career, takes a load of PR bullets on his behalf, and gives him valuable advice based on his own experiences in these kinds of negotiations, should be viewed as a baddie here, is beyond me. Do you really think that MLSE has a better sense of William’s long term interests than his own father? Seriously? Any son would be lucky to have a loving father who cares about his son as much as Michael apparently cares for William (and, presumably, his other kids as well). Two months to make a further $9m. Yeah, I’d say that the Nylander family and Lewis Gross made a very reasonable trade-off. I really hate the troglodytes who were blasting Willie for handling these negotiations as he did. Every single player in the NHL should be buying that guy free drinks for the rest of his life. He did more for them in that negotiation than NHLPA head has done for the players since Bob Goodenow. Postscript: As the Minnesota game illustrated, the Leafs still have problems with teams who play a heavy, cycling game of puck possession. Adding Nylander still does not solve this problem for Toronto. A player like Chris Kreider (who would be a beast on a line with Matthews and Nylander) would. At the risk of breaking up Toronto’s hottest “bromance”perhaps Kapanen (or Johnsson plus a high draft) to the Rangers for Kreider makes sense down the line?